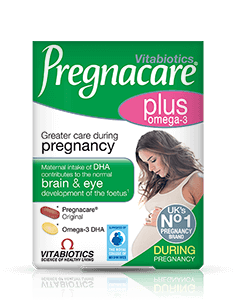 The Pregnacare Plus Omega 3 capsule contains the purest pharmaceutical grade fish oil, certified for sustainability by Friend of the Sea. 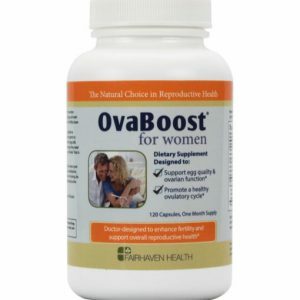 The capsules do not contain fish oil sourced from tuna, shark, marlin or swordfish. The UK FSA advises pregnant women, and women intending to become pregnant to avoid shark, marlin and swordfish and not to eat large amounts of tuna. DHA is the predominant fatty acid in the central nervous system, found in the structural walls of brain cells. Amazingly, the foetal brain is made up of 60% fats of which 40% is DHA. There is a large increase in DHA uptake by the foetus and a corresponding increase in cerebral DHA content during the last trimester of pregnancy and the first post natal months. At birth the baby’s brain weight is about 70% of an adult’s brain weight; 15% of brain growth occurs during infancy and the pre-school years. 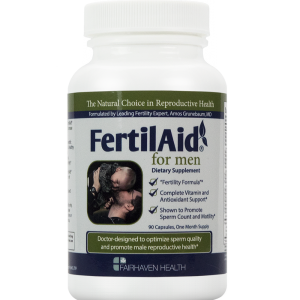 DHA is important throughout this period of development. DHA is found in even greater concentrations in the retina, where it contributes up to 60% of the fatty acid content. 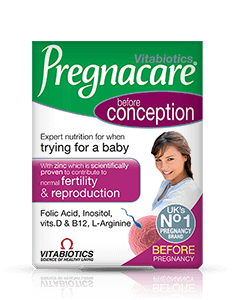 What the mother consumes has the potential to be passed on to the developing child, therefore only the purest pharmaceutical grade fish oil, has been used in Pregnacare Plus capsules. To ensure maximum benefit the oil is carefully concentrated to increase its DHA and EPA content and further purified. Each batch is rigorously tested, certified, and fully compliant with stringent EC and WHO rules on environmental pollutants.